I can't tell you how happy I am that it's Friday!!! It was a long week with so much going on. We've been installing new software and hardware at work and there has been lost of training and working with the staff to show them how it works. I'm looking forward to a stay at home weekend. It's been a while since we've had one of those and I really can't wait. Today's Stampin' On Friday card was so much fun...I enjoyed playing with fabric, canvas and sewing on this card. Hope you all have a wonderful weekend. See you back here on Monday. I love this card! 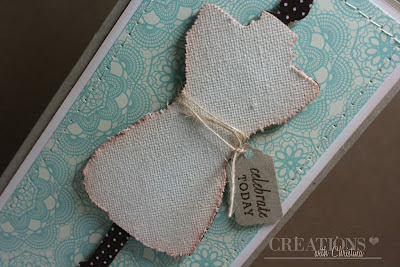 I want to get the dress form also, our Joanns does not carry Tim Holtz stuff yet though.... I hope soon..
Have a great weekend at home Christina! Love love love this card Christina, thanks for the video. Gorgeous card Christina... I love my Tim Holtz scissors! What a lucky niece you have:). 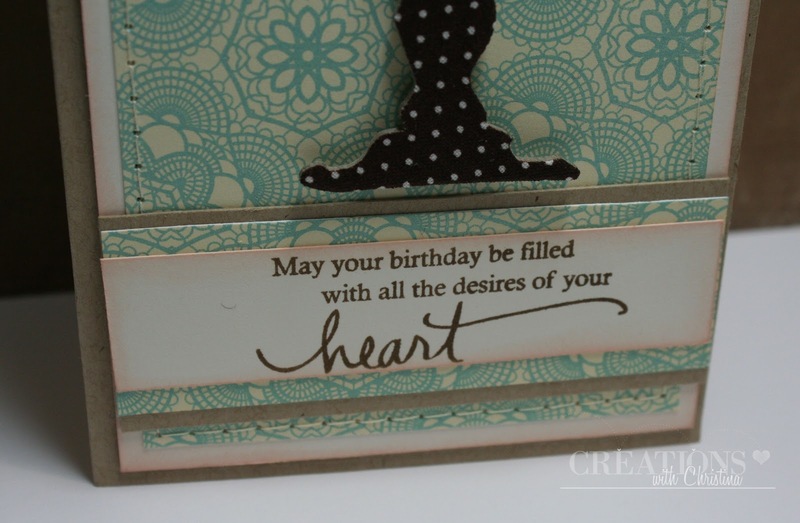 Your card is beautiful, thoughtful, and made with love! Thanks for sharing! I've never seen this dress form die before and I love it. Your niece is going to love your card. You inspire me with all your videos but this is one of your best! You are so clever and crafty. I could watch your videos all day but that would mean not getting any of my crafting done. Thanks so much for sharing all your great ideas. Wonderful dress form card. Tim Holtz (TH) would really like this. 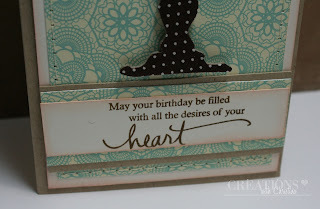 You ought to send photo and/or link to Tim Holtz's blog. JoAnn's here use to only carry some of the TH Distress inks but since they are remodeling they have been getting in more TH products. Oh my, love your card. Make me want to go out and buy a big shot and Tim Holtz die. Your do a really nice job. Have a great weekend and thanks for sharing. I absolutely love the elegance and style of your card; the patterned paper, soft inked edges and canvas with fabric all add to the soft feminine quality. As usual I am just in awe of your talent! Thank you for sharing it! Love this card Christina! The colors and fabrics are beautiful. I have this die on my wishlist too! Thats one pretty card, Christina! :) I`m totally gonna buy my self some canvas. Thanks again for the inspiration! Hope u have a wonderful tuesday.